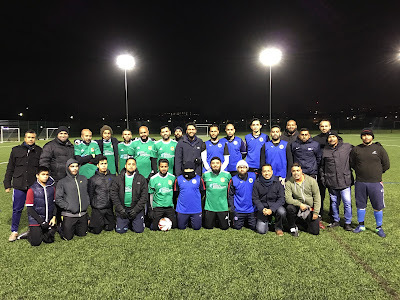 A mixture of young and old Beanibazar Sporting Club players joined Sylhet rivals Bishwanath East London to take part in a football game to support a Cancer charity. Beani Bazar Cancer Hospital (BBCH) is a charity based in the UK that aims to create awareness and provide medical treatment for disadvantaged cancer patients in Bangladesh. The charity’s aims are to build a state of the art, specialist cancer care hospital and provide free medical care and treatment for the underprivileged and those less fortunate. 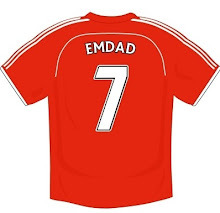 Emdad Rahman’s side were a little too strong for their opponents and came back from a goal down to win 2-1 thanks to hitman Abul Hussain and captain Abdul Wahid. The match was well attended and included the presence of BBCH Marketing Director and Trustee Forhad Hussain Tipu. An expansive selection policy saw four youngsters play their part in the win for Beanibazar. Ibrahim Yusuf, 13, Yasin Ahmed, 12, Minhajur Rahman, 18 and Wajidur Rahman, 20 took to the field to each play a significant part in their teams win. 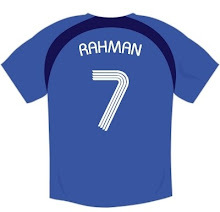 The other end of the spectrum saw Mamun Uddin also make his debut at the age of 50.